This is my favorite breakfast now. 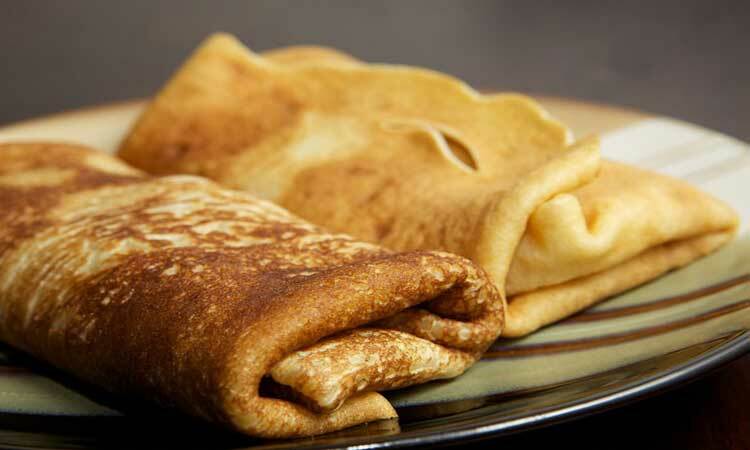 The blini are very tender and the filling is not too sweet but sweet enough to start the morning with a smile. They are firm enough to hold, i.e. not falling apart, but not hard at all. Really love those! My husband bought some stuffed crepes with cottage cheese and meat and they were absolutely delicious. Thin and tender. Thank you very much! Блинчики были просто объедение!